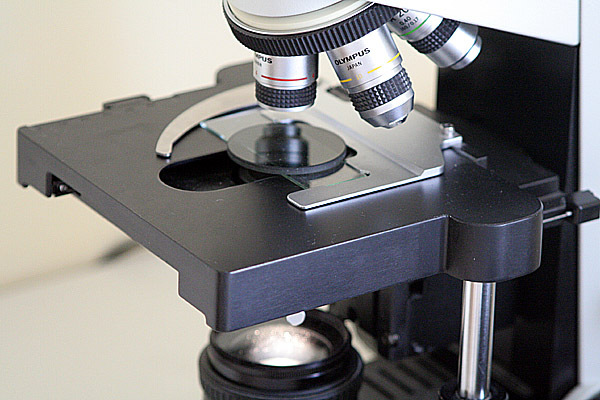 It is not necessary to purchase a dedicated polarizing microscope to observe specimens in polarized light. A pair of linear polarizing filters is enough. Polarization microscopy of crystals is an aesthetically rewarding experience. Obtain two linear polarizing filters. Make sure that the two filters will not let light go through if crossed. 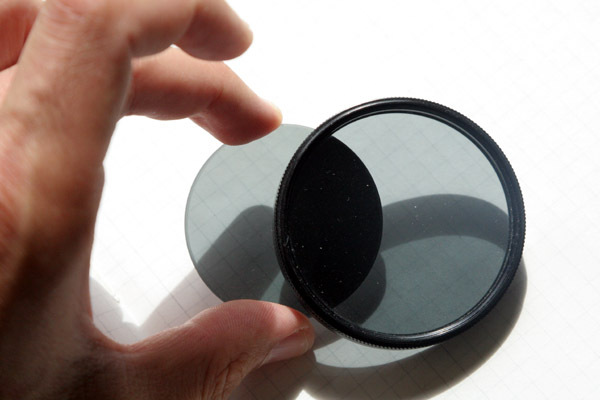 Many polarizing filters sold in photography stores are circular polarizing and they will not work. It is best to test the filters first, or to buy polarizing filters from a school supplies company. Place one filter on top of the light source and the other filter on top of the specimen, beneath the objective. Then rotate the filter of the light source into a crossed position. Be careful – The filter changes the focal distance and focus. Be careful of not smashing the objective into the filter when refocusing. For safety, only use this system with the low power objectives. House dust: many components of dust are de-polarizing the light and these components will appear bright on dark background, similar to dark-field illumination. Transparent materials (plastics) that contain tensions. The tensions turn the plane of polarization of light and will result in colorful images. It is possible to purchase dedicated polarization optics. These optics are tension free and will deliver a completely dark image when used with crossed polarization filters. Regular achromatic bright field objectives (as commonly used in schools) are not tension free and there may be a slight background illumination even when the filters are completely crossed. For practical purposes, this is of no relevance. When the polarizing filters are turned into a crossed position, then they will not allow light to go through. This is the position used for microscopy. 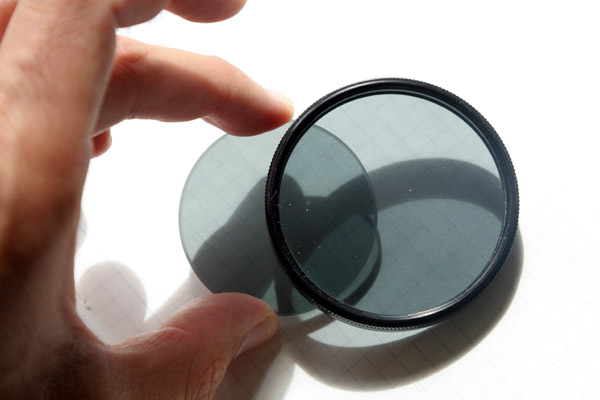 When the polarizing filters are turned into a parallel position, then they will allow light to go through. Place one polarizing filter on top of the light source, and the other one on top of the specimen.